IMMACULATE VILLA SITUATED ON A QUITE CORNER LOT! EXCELLENT LOCATION WITHIN 10 MILES TO ORLANDO INTERNATIONAL AIRPORT AND NEAR OSCEOLA PARKWAY TO THE CONVENIENT OSCEOLA LOOP MALL, RESTAURANTS, 417 EXIT, AND TURNPIKE. 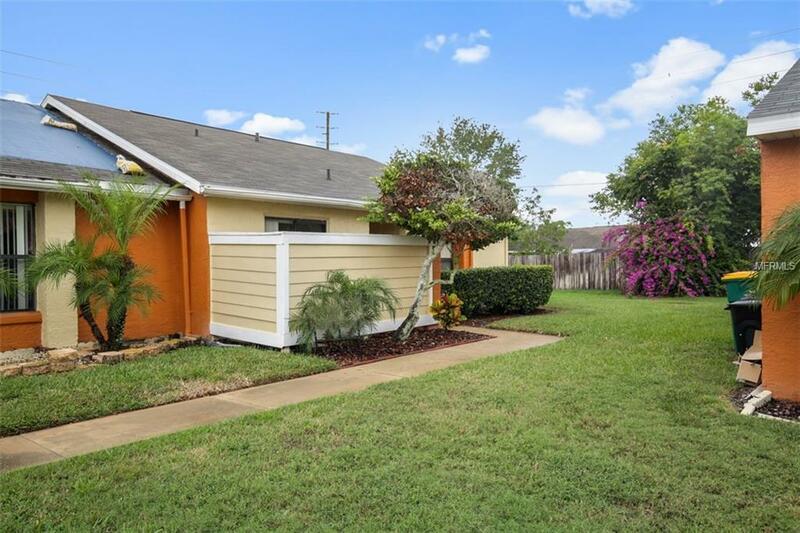 This beautiful home features 3 bedrooms, 2 baths, high ceilings, new screens in all windows, brand new roof from February 2018, nicely updated kitchen with Expresso 42"cabinets, Granite countertops, new Stainless Steel appliances, eat in space in kitchen and convenient laundry closet with full washer and dryer. Ceramic tiles and beautiful laminate wood floors in bedrooms. Both bathrooms have new Expresso wood cabinets and Granite counter tops. Air conditioning unit from 2011 and ceiling fans in living room and master bedroom. A DELIGHT TO VIEW! A MUST SEE TO APPRECIATE VALUE! CALL TODAY FOR MORE INFORMATION!